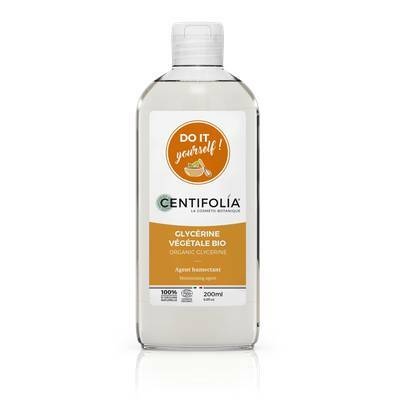 Derived from soya vegetable oil, glycerine is recommended to improve the hydrating power of your creams, lotions, gels or shampoos thanks to its moistening properties. It has a thick liquid texture and can be found in several cosmetic products. Soluble in water and alcohol. Not soluble in oil. Glycerine should be added in the aqueous phase of your product.